Employment Law: What Will Happen To Jeremy Clarkson? The BBC is conducting an internal investigation into Top Gear host, Jeremy Clarkson's suspension from the television program. 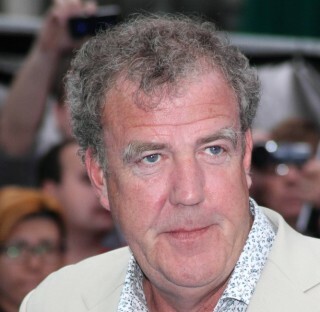 Clarkson was suspended after reporting a "fracas" between himself and a producer, Oisin Tymon. The alleged altercation, branded a 'fracas' allegedly involved Clarkson punching Top Gear producer Tymon, after filming concluded in Newcastle last weekend – this was allegedly in response to the fact that there was no hot food available on set after the day of filming. Clarkson is currently suspended whilst the investigation is carried out and the remaining episodes of the current Top Gear television series have been pulled from the BBC's schedules. Today at Unlock the Law we look at the nature of disciplinary hearings and what could happen to Jeremy Clarkson as well as whether the remaining Top Gear episodes featuring Clarkson can be aired if he is dismissed. What will happen to Jeremy Clarkson? Clarkson's suspension is currently being reviewed by an in-house tribunal at the BBC, with executive Ken MacQuarrie chairing the disciplinary panel. This panel will decide on the best way to resolve the situation. What does it mean to be on suspension from employment? When a disciplinary issue is being investigated, the parties involved may be suspended from work. This is actually quite uncommon but may have been necessary due to the high profile nature of the incident. When an employee is suspended, they will normally still be paid and given reasons as to why they are being suspended. It is possible to be suspended without pay, but only if your contract of employment states that your employer is permitted to do this – they also must be acting reasonably. To show that the suspension is not a punishment (as the incident is being investigated, it has not yet been proven that disciplinary action is required) the suspension will normally be on full pay. You will still keep all of your employment rights whilst on suspension and if you are not paid correctly, you could make a claim to an employment tribunal for an unlawful deduction of wages. Can I speak to colleagues when on suspension? If you have been suspended, your employer may tell you that you are not permitted talk to other employees, customers and/or suppliers. However, if this results in you being unable to defend yourself properly at a disciplinary hearing, this could be grounds for an appeal. On the other hand, if you have been asked not to talk and you do, this could be grounds for your employer to take further disciplinary action against you. An employer should not take any disciplinary action before meeting with an employee and discussing the problem. Suspension is not regarded as disciplinary actions. The disciplinary hearing should be held at a time that reasonable in a convenient place. Give you a chance to explain your version of the facts and surrounding matters. If a new significant fact or issue is raised at the hearing, the employer may stop the hearing to look into the newly raised issue. The hearing will then be rearranged for a later date. You may be accompanied to the disciplinary hearing but you must let your employer know of your intention to do this. If there is no colleague to go with you and you are not part of a trade union, you may also bring a family member or a Citizens Advice Bureau worker. However, your employer doesn't have to agree to this unless it is stated in your employment contract. However, your companion may not answer questions on your behalf. Your companion cannot be disciplined for accompanying you to the hearing. What action can be taken after a disciplinary hearing? Once the hearing has taken place, your employer should write to you as soon as possible to let you know what action they are taking and outlining your right to appeal the decision. Your employer may also take any number of other actions to resolve the problem such as mediation between co-workers with personal problems. No official date has been fixed for the tribunal investigating Clarkson to present their findings, however it will be interesting to see how the BBC balances the reaction to the suspension of Clarkson (an online petition to reinstate Clarkson has reached more than 900,000 signatures) with the right of other employees to be protected at work, and taking proper disciplinary action. So when will Top Gear be back on then? Ofcom received more than 100 complaints about Top Gear being replaced on BBC Two with a Red Arrows documentary on Sunday, 15 March. However, there is not much they can do about it. Ofcom can only assess breaches of the broadcasting code when a program has been broadcast – Top Gear was not. It has also been confirmed that Top Gear will not be aired this Sunday (22nd March) and is postponed pending the investigation outcome.